There are five bioluminescent bays in the world: Halong Bay in Vietnam and Luminous Lagoon in Jamaica plus the remaining three Bahía Bioluminiscente are located in Puerto Rico. Mosquito Bay in Vieques (separate island to the East that is part of the territory of Puerto Rico), La Parguera in Lajas on the Southwest corner of the island, and finally the closest bio bay to San Juan (and easiest to get to) is Laguna Grande located in Fajardo on the Northeast corner of the island. 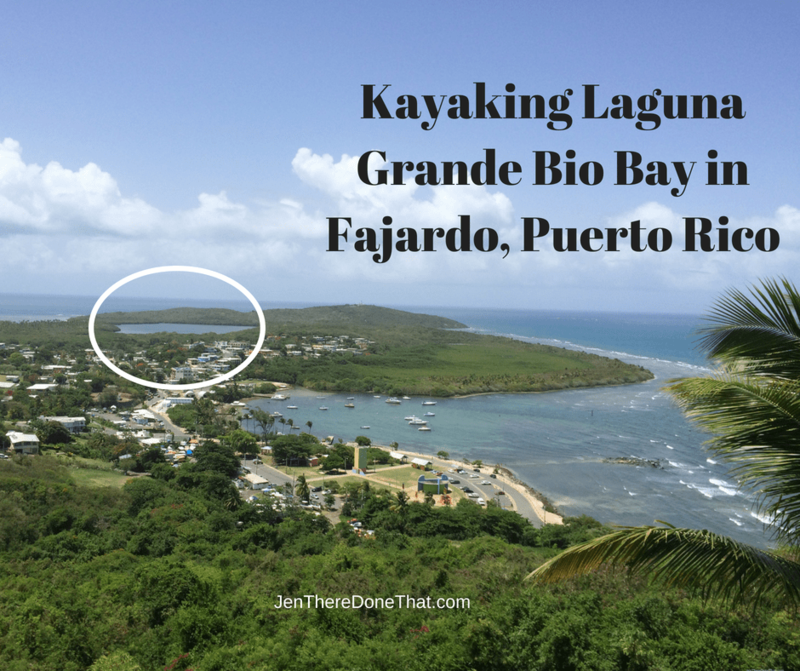 Do I Need a Reservation for Laguna Grande Bio Bay? Long answer, if you have your own kayak and equipment you could paddle through the mangroves to the bay and back on your own. It is a straight path in and back out. The water current flows toward the bio bay from the town of Las Croabas, where most organized tours depart from. If you do not have your own equipment, then you need to make a reservation with one of the established tour companies. They do not have extra equipment (or ability to collect payment) for walk-ups, so plan your tour at least a few days in advance. Book as early as possible to avoid a sold out tour. When is the Best Time to Visit the Bio Bay? The dinoflagellates are not very bright and are best viewed in complete darkness. Even the light from the full moon will diminish your view, so the best time is during the new moon when the night sky is the darkest. 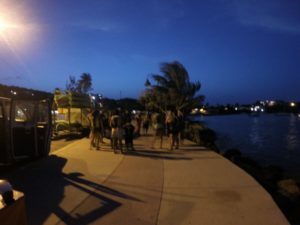 There are sunset tours available and the tour guides will attempt to demonstrate the plankton glow under a tarp or cover, but it will be difficult to see, if at all. How to Get to Laguna Grande Bio Bay? Laguna Grande is located at the far Northeast tip of Puerto Rico in the municipality of Fajardo. PR-3 road from San Juan is the most direct road to Fajardo, then Avendia El Conquistador to the 987 road directly to the town center of Las Croabas. 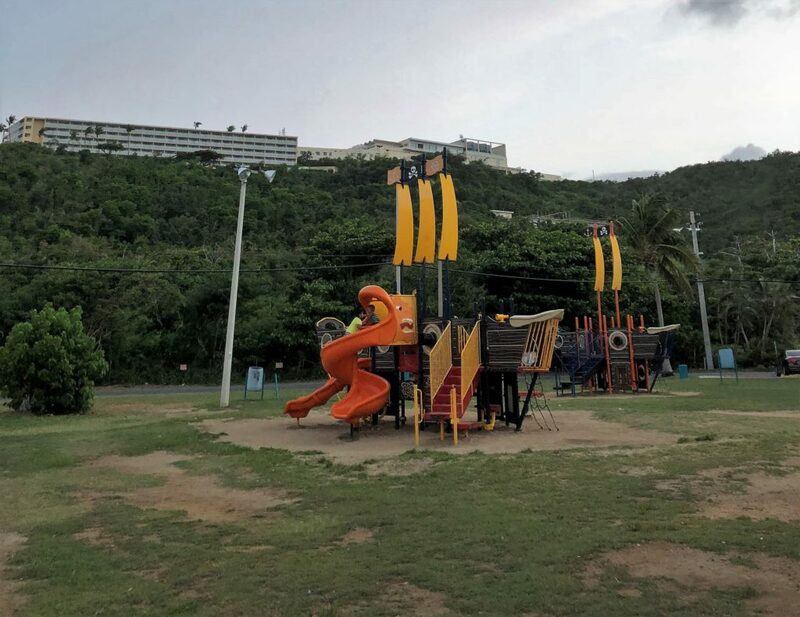 There is parking available at the children’s park (Parque La Juventud). The bio bay is visible from the El Conquistador and an easy walk for guests staying at the El Conquistador Resort. What to expect on the Bio Bay Kayaking Tour? 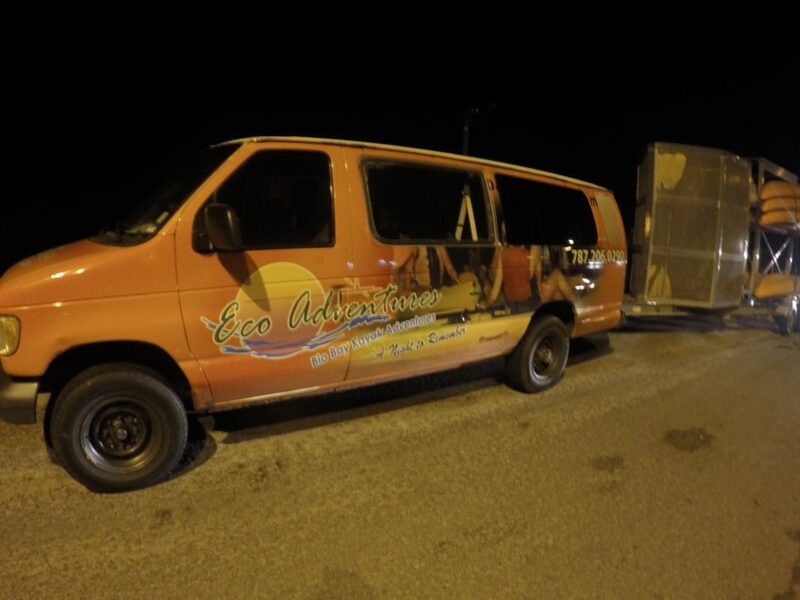 There will be several trucks and trailers of kayaks for each of the tour companies. Many of the names are very similar. Double check the exact name of the tour group for your reservation, then walk along the sidewalk to find your group for check in. To reduce the congestion in the mangroves and on the lagoon, the tour companies stagger the start times for tours. After check in, there is a safety briefing, guests are paired off, then life vests are distributed. Most of the tour companies run double kayaks for two people, the smaller person is usually in front. For night kayaking, the person at the back of the kayak will have a small (red or yellow) light on the back of the life vest. There will be at least one tour guide in front and back, depending on the size of the tour. Kayakers follow the light in front to navigate the narrow mangrove channel out to the lagoon and back. Flashlights will destroy your night vision and essentially blind you for a few minutes, so avoid bright flashlights or camera flash. The mangroves are very dark but only about 3 feet deep (in case you tip over in the kayak, just stand up). There are plenty of insects and mosquitos so apply mosquito spray before check-in. How Bright is the Glow of the Dinoflagellates? The brightness of the plankton depends on the growth cycle of the dinoflagellates, how many dinoflagellates are in the lagoon, and how dark the night sky is. We went on the new moon during the brightest time of the growth cycle. The dinoflagellates do not emit a continuous glow, they only light up when agitated. The light is more like glitter sparkling in the water and is best viewed by moving the kayak paddle in the water. There are spots in the water with a higher concentration of plankton, so we paddled our kayak around the lagoon hunting for the brightest concentration. I was dunking and shaking my GoPro waterproof camera in the water and was still unable to film the glow, even though I could see the sparkle very clearly with my naked eye. This is where night vision is critical and anyone with a flashlight or camera flash will ruin the experience, at least for a few minutes until your eyes readjust to the darkness. Only a small patch of water will sparkle, and it is only visible while there is movement at only very close range. I could not see the glow of dinoflagellates under the kayak next to me, it was too dim that far away. Getting in and out of the kayak requires wading through (dark) shallow water. Sturdy water shoes are the most important item to wear. Fast drying shorts and tee shirt are ideal for the trip. Getting in and out of the kayak is the part where most people get a bit wet. Clip your phone or dry bag to your life vest to avoid losing anything in the water. Plan on getting wet. Even if you do not tip over in the kayak, you will probably get wet. It does rain in the mangroves and the lagoon, plus occasional splashing from the kayak paddles. Swimming is not permitted in the lagoon. Considering there are only five locations in the world to view this natural phenomenon, I thought it was absolutely worth the adventure. Our tour guides were charming and informative. I would have been disappointed not to see the plankton sparkle, but it would still be an enjoyable night kayaking. Loved reading about bio bay. Last time we were in Puerto Rico, the hurricane happened so we weren’t able to explore bio bay. I do like that they have a children’s play area. You definitely experienced something that many don’t get to experience. This is the first time I am hearing about Bio bay but it seems like the perfect kayaking destination, Jen! You obviously had a blast there. Thanks for whetting my appetite! This is a bucket list item for me! I had no idea one of the Bioluminescent bays was in Puerto Rico! So cool! Too bad you couldn’t capture it with your GoPro, but at least you got to experience it. That is, after all, the most important part. It was definitely worth the trip! With or without photographic evidence! I have never heard of this and was quite intrigued. Especially after I found out that only five locations in the world exist. Too bad you weren’t able to catch it with your go-pro, but I believe that you ere able to see it with your naked eye 🙂 What an awesome experience! This is SO incredible! I had no idea there were only 5 in the world, that makes it that much more special. I went to the one in Vieqes a few years back and totally agree its SO worth it and an incredible experience. I plan to visit all three bio bays in Puerto Rico. I am really excited to see the one in Vieques, I have heard it is the best! Seeing bio luminescent plankton is one of the top things on my bucket list! I imagine it must be absolutely incredible to see in real life. I had no idea there were only 5 bays in the world that have them – makes it even more special! Wow, I would really love to do this, but I have to admit, I’d be terrified of kayaking in the dark. Shame you weren’t able to get photos, but at least you have great memories. Thanks for the tips. Once your night vision kicks in, it was pretty easy. I like that they offer sunset tours, so you can still enjoy kayaking if you do not like the dark. This is so interesting! I’ve only ever seen about this plankton on nature shows, and I’m mesmerised by it! I never knew there are only 5 locations in the world to see this; I’ll definitely remember this one if I ever visit Puerto Rico. Great tips on what to expect too! Wow – the first time I’ve ever of heard of Bioluminescent bays was when my friend went to Puerto Rico last year. This sounds like a trip worth taking just to see the plankton sparkle, considering there are only 5 spots in the world to see it! Great video too! Thanks for the tips! With three locations, Puerto Rico is the best place to view the sparkle! Bioluminescence is such a fascinating natural phenomenon, and there are so less spots in the world where this can be seen. I was looking for photos, but a pity that the phenomenon could not be photographed. But I am sure the entire experience of kayaking in the dark and seeing it with the naked eye was an unforgettable experience. Sounds like such an interesting thing to do, I can see why you thought it was worth the adventure. When you say there are 5 bioluminescent bays in the world, does that mean that this particular plankton only lives in those locations? I’ve seen something similar, but it was in Thailand.